The Master Gardener Program was first started by Cooperative Extension in the State of Washington in 1972 and has been operating in northern Nevada since 1976. It grew out of a need to meet an enormous increase in requests from home gardeners for horticultural information. Master Gardeners are volunteers who have been trained in the finer points of gardening to improve their own knowledge and to share it with others. Master Gardeners provide free, research-based horticulture information to Nevadans. As volunteers, Master Gardeners contribute 50 hours per year in a variety of projects, including answering telephone inquiries, conducting plant clinics, performing soil tests, staffing booths at fairs and home shows and consulting at school and community gardens. Why should I become a Master Gardener volunteer? Around the country, Master Gardeners have become a vital part of Cooperative Extension’s ability to provide consumers with up-to-date, reliable information. Master Gardening has also become a fun and useful volunteer activity, which has given its participants a sense of community spirit, accomplishment and intellectual stimulation. Master Gardeners are committed to improving themselves, their community and their environment by participating in horticulture educational activities. They are leaders in environmental stewardship. In 2006, Western Area Master Gardeners volunteered over 9,000 hours (the equivalent of 5 full-time employees), grew over 2,500 pounds of vegetables, which were donated to local food kitchens, and handled over 5,000 phone calls and 4,826 emails. In 2000, there were nearly 600 active Master Gardeners statewide. They handled 26,661 phone calls, replied to emails and mailed out requested horticulture publications. Master Gardeners volunteered more than 32,000 hours around the state educating people in plant science, the equivalent of at least 15 full-time employees. They have logged more than 27,000 contacts statewide, of which at least 800 were children, as they helped establish community and school gardens. Who conducts the Master Gardener training? 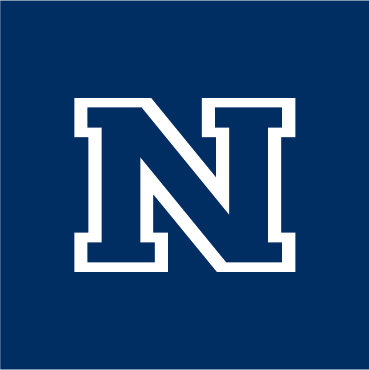 Classes are taught by horticulturists and specialists from the University of Nevada Cooperative Extension and the Nevada Department of Agriculture. The training does not earn university credits. How much class time is involved? Each class is three hours long. The course includes a total of 63 hours, spread over six to nine weeks. Classes are offered weekday afternoons in fall in Reno. Contact the Reno Cooperative Extension office for class dates and times. A fee is charged to cover program costs including a comprehensive Master Gardener Handbook. Contact Leilani Konyshev at 775-336-0247 or hansonw@unce.unr.edu for information on the next available class. To put your name on the Master Gardener interest list, you may either fill out this form. Everyone on the interest list will be contacted as we announce upcoming classes and open them up for enrollment.